Is Beating the Market Harder Than Ever? Is beating the market harder than it’s ever been? 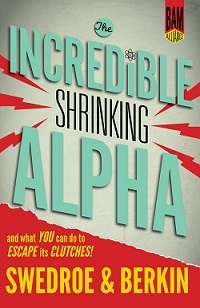 Larry Swedroe thinks so, and he lays out his case in his newest book, The Incredible Shrinking Alpha. PWL Capital has just published a custom edition of the book, with a foreword I co-wrote with my colleague Ben Felix. In our introduction, Ben and I note that Swedroe likes to use sports analogies when he discusses investing. I recently chatted with Swedroe about the book, and he looked to baseball and tennis to explain why active investors face more difficult obstacles than ever. Swedroe begins with an argument that others have invoked before: the disappearance of the .400 hitter in baseball. Since 1903, seven different players have batted .400 or better a total of 12 times. However, that feat has not been accomplished since 1941, when Ted Williams hit .406 for the Boston Red Sox. “Of course, the skill of the pitchers today is much higher, and the fielders are much better,” he notes, so that might explain why batting .400 is considered almost impossible today. However, over the last 50 years, batting averages for the league as a whole have been roughly the same as they were during the early days: about .250 to .260. “You would think that batting averages would have come down, but that hasn’t happened,” Swedroe says. “The batting averages are about the same overall, but no one is hitting .400 anymore.” Why is that? Blame it on the paradox of skill, an idea explored by Michael Maboussin in his book, The Success Equation: Untangling Skill and Luck in Business, Sports and Investing. The skill of both hitters and pitchers has improved dramatically over time, making the overall level of competition much tougher. As a result it is harder and harder for anyone to stand far above the crowd. Obviously some hitters are consistently better than others, but the range of batting averages at the major league level is narrower than it once was. You no longer see individuals batting 150 points above the league average, or players like Babe Ruth, who often hit more home runs than entire teams. The paradox of skill means that as everyone improves, the performance of each individual gets closer to the average. In our interview, Swedroe offered a second analogy to drive home this point. “If you’re a tennis fan, you know that Novak Djokovic is the best player in the world today. Think about him going into the first round of a Grand Slam tournament: he’s going to play against some opponents who are not even among the top 100 players in the world. I don’t imagine he has lost a match like that in the last eight or 10 years, and he’s typically going to win them in very quick order. So when you have a wide disparity of skills, you have a wide dispersion of outcomes.” In other words, you have a lot of lopsided scores. This raises another important implication of the paradox of skill. As the overall level of competition increases, luck plays an increasingly important role. When Djokovic plays the 200th best player in the world, luck isn’t a factor: he will win almost every time. But when he plays the second- or third-ranked opponent, the match will often come down to a shot that lands just inside the boundary line. Looks like a great read, thanks for the chance. This could be a very interesting book.. Thanks for the chance to win it. Hope I win to get more insight into his investing philosophies. Interesting using sports analogies. The analogy to MLB is incorrect. In MLB you are comparing the performance of individual players against the league average. As the skill set of all the players improve, it gets harder to really outperform the average. However, with investing, you are comparing the performance of fund managers to that of a market index. The index performance is completely independent of the average performance of the fund manager. Therefore if the fund manager can’t beat the market index it’s because the market is unpredictable or because the fund manager is incompetent. @JohnP: “The index performance is completely independent of the average performance of the fund manager.” Actually the index is, by definition, the aggregate performance of all investors, and the bulk of these are fund managers and other institutional investors. So clearly these are not “completely independent”: they are intimately related. If anything, the paradox of skill is even more relevant in investing than in baseball, because baseball pitchers are facing only major-league hitters and not random people on the street, whereas fund managers have at least some opportunity to exploit naive investors who make bone-headed trades. But as the overall skill level increases among professionals, markets become increasingly efficient and it becomes more and more difficult to exploit amateurs. Strategic beta is already highlighting that most alpha is really just factor-based beta. I suspect that the last bastion of professional active management, “asset allocation” will likely be exposed by Robo-Advisors. You have a better chance of reliably winning poker tournaments than beating the equity markets with the same or less risk profile of the equity market. I really liked the analogies to baseball and tennis. They are helpful illustrations for why index investing is a good way to go. Who wouldn’t want to bat .250 in the major leagues? It’s not a “great” batting average but if it’s good enough to keep you in the majors you are a winner in my view. On the other hand, the baseball leagues or other professional sports has, well, only professional players playing. Investing is flooded with dumb money; and lots of professional investors who are playing ‘greater fool’ with them (just look at Netflix). Plus, professional investors may not be interested in small and micro caps where you can’t invest enough money without owning the whole company. There are probably still lots of opportunities for some alpha even for non-professional investors; if you do your due diligence and keep your emotions in check. But yeah, that’s very risky, better keep most of your portfolio in etfs. I actually just started re-reading “The Quest for Alpha” yesterday. Swedroe is an excellent writer. Thank you again, @CanadianCouchPotato , for sending me that book :-P.
Interesting concept. Added that book to my wish list on Amazon. Great writing, thanks for new insights. Interesting concept but it makes sense. I have often wondered the same about exceptionally performing athletes in other sports like Hockey. It always gets a crowd of hockey fans talking when you suggest that maybe Bobby Orr wouldn’t have posted the same stats if he had played today. I agree that the investment competition is fierce, but I imagine you can find alpha in certain instances. The question becomes can you find them faster than the physicists and high-powered investment banker computers? In addition, the investment of personal time to find those, with no guarantee of performance, has lead me to believe that dedicating more time to earning and saving in a couch potato investment will perform better for me than me spending that same amount of time trying to seek out that alpha. Interesting. Thanks for the chance! When active investors debate with me I often ask, “So, you’re definitely smarter than the person selling it to you?” I occasionally get blank stares, “What do you mean?” I explain how everything they buy thinking it’ll go up means there’s somebody on the other end selling because they’re betting it’ll go down. I’m surprised that a lot of people don’t know how that teeter-totter works. And yeah, resigned myself long ago that I’m certainly not better at predicting stocks than the wolves of Wall Street or Deep Blue supercomputers are. …Probably not even better than the proverbial monkey throwing darts at the stocks page, for that matter. Very hard to beat the market when you have experts/advisors telling ordinary folks like myself to put their hard earn money in equities as the bond market is in for doom and gloom the past few years. Looks like bond funds have done very well the last year or so compared to cdn equities. Not sure why they dream up the nonsense to spool out to folks like myself. would love for these experts to post their personal portfolio’s, I’m starting to think their personal portflolios don’t look anything like the ones they advise us to have.. all about the bottom like for the banks and investment firms, equity funds have much higher fees than bond funds. Larry Swedroe is right. I shouldn’t be competing against professional investors. But there’s an area of the stockmarket where it’s difficult for professional investors to go. In microcaps, professional investors become fewer. Warren Buffett has said that his return could be 50% if he only had a few million to invest, and was investing in small companies. But he can’t do that anymore, and he admits that his results suffer as a result. IIRC, Berkshire Hathaway is so big that there’s only about 200 stocks that it can invest in now. One key component of efficient markets is the ability to short a stock. That ability helps keep price in line with reality, and decreases the ability to beat the market. And it’s something that professional investors have to deal with. But an individual investor trading microcap stocks has to deal with shorting less. It’s not uncommon that one can’t borrow microcap stocks, so they can’t be shorted. Or if you can borrow them, the costs are so high that shorting won’t be profitable. I have heard it said that of all risks in finance, the greatest is career risk. If a professional investor underperforms the market for 2-3 years, her clients will leave him and she won’t get new ones. Read “The Big Secret for the Small Investor” by Joel Greenblatt. Time arbitrage is something that an individual investor can take advantage of. And the person she is taking advantage of may very well be a professional investor. Provocative reading, but I find the sports “skills” analogy breaks down for me. I don’t think finding alpha is a “skill” because it is not a repetitive task that can be practiced and perfected like sports can. Instead I think finding alpha is closer to discovery and/or inventing. Like inventing, the advantage the small investor can have is: different constraints (e.g. liquidity is usually less of an issue for a small investor vs. someone who must manage a huge fund), a new insight and less of a herd mentality. I’ve been doing my own thing for 20+ years of investing and for the most part, I’ve done just fine even while doing some pretty radical things. I got out before 2008. How many “experts” did that? My most recent move was to replace my bonds in my portfolio with the US dollar last year. I even posted it on here last year (in case you need proof) because I thought long term bonds had gotten stupid and the US dollar seemed like a safe place to wait it out. Well, how many “experts” and portfolio managers did that in Canada? Anyway, keep believing that the experts have some secret sauce if you want, but I don’t think the do. They’re all just making guesses, based on the data they see, just like you or I can. Remember, in any field of study, data has never meant insight. @Edward, not to be pedantic but your argument is flawed. Stocks on the stock market are not a zero sum game because corporations have customers and hopefully profits. To use your teeter-totter analogy, it’s as if the whole machine can be lifted or lowered by the results of the company. The commodity market is a zero sum game because commodities don’t have customers or profits. This is what makes commodities riskier than stocks. Late to the game (via MDJ) but oh well! “Dumb money”, aka the retail investor, owns very little of the total stock market (<20%), and financial professionals (including HFT) account for 95% of the trading volume. Thus, it is almost always smart money making all the dumb moves. "You have a better chance of reliably winning poker tournaments than beating the equity markets with the same or less risk profile of the equity market." Very important point in that once you deviate even slightly from the benchmark (e.g. index fund), the risk profile changes. But altering the amount of benchmark held in the portfolio, thus altering the risk profile, is really the only way to achieve a different return. Example: since 1985 the S&P 500 (100% US equites) has an average annual return of ~10%, 0.5 Sharpe, 17% SD; a global asset portfolio (40% global equities) produced ~9% annual return, 0.7 Sharpe, 7% SD: the S&P gave a higher nominal return but a worse risk-adjusted return. A lot of the studies that look at whether people can beat the market or not rely on looking at professional managers who have the odds stacked against them. They have to concentrate among the largest companies available since they have so much money to put to work, and the competition up their is fierce. Other studies look at the average investor and conclude, rightfully, that the public probably can’t beat the market indexes. But that doesn’t mean that some of the public can’t. The key is strategy, selecting one that’s both simple and proven to be extremely profitable, emotional temperament, and diligence. For me, that comes down to Ben Graham classic value investments, and leveraging the returns available to those sorts of portfolios. It also means giving up control and letting statistical probabilities propel your portfolio. this makes it easier for investors to compete, not on gross returns but net returns, due to the high fees the phd’s charge and the low fees an investor can get on index products.